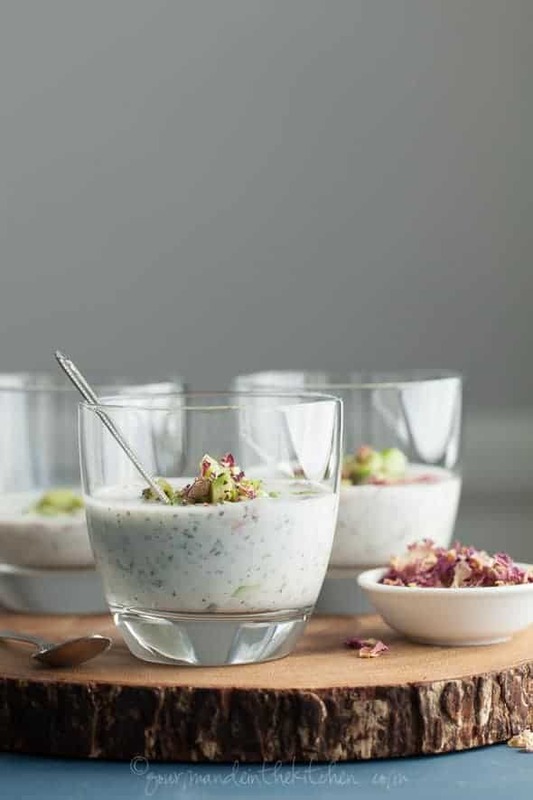 A creamy and cooling chilled cucumber yogurt soup to help escape the heat. 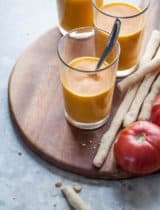 The soup I have for you today is the ideal starter on a hot day when you’re in dire need of both refreshment and nourishment. It’s a no-cook soup that’s super simple to make and a hot weather favorite of mine. It’s cooling properties lies in the combination of cucumbers, yogurt and mint. 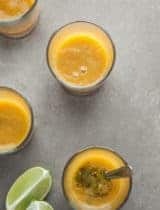 The refreshing trio is whisked together along with a few other savory and sweet additions to make a cold, creamy and slightly tart soup that’s pretty irresistible on days when the temperatures are steadily rising. I don’t know if I’d go so far as to call a cold soup comforting, but it certainly is refreshing and rejuvenating. This is the kind of soup you can make all summer long since it only takes a few minutes to whisk together. 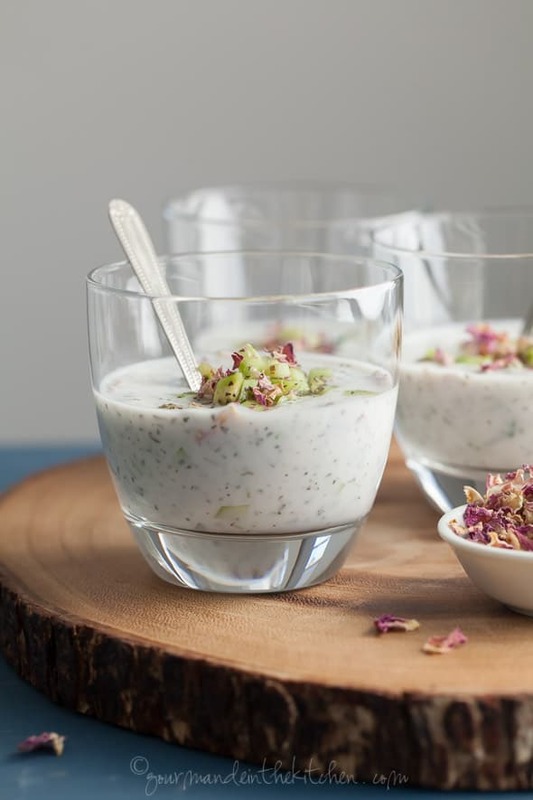 Similar to tzatzki, raita or mast-o-khiar, you need to start with a great yogurt, one that’s creamy and tart but not too tangy. To that you add very finely chopped cucumber, and both dried and fresh mint for a dual layer of flavor. Dried golden raisins add a touch of sweetness, while sprouted watermelon seeds bring a lovely nuttiness. I like to add a drop of rosewater to the soup and a few crushed dried rose petals but you can leave them out if you can’t find them. A few tart dried cherries sprinkled on at the end add a nice pop of color as well. Serve it in a bowl, or a small glass as a soup shooter. And if you don’t have the time or patience to chill the soup, you can always add ice cubes instead of water and let them cool everything down as they melt. 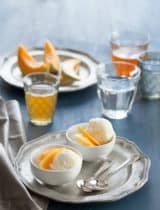 It’s the perfect accompaniment to any meal, every spoonful a refreshing blend of both savory and sweet and I do hope you’ll try it. In a large bowl, whisk the yogurt with enough ice water to get a loose but not runny consistency. 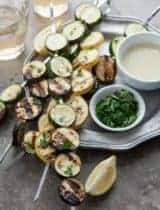 Stir in the finely chopped cucumber, both kinds of mint and rosewater if using and season with salt and pepper to taste. Gently stir in the golden raisins and sprouted watermelon seeds or walnuts. Cover and refrigerate until very cold (at least an hour). Stir and add extra ice water to thin if necessary. Serve in bowls, sprinkled with the dried rose petals and tart cherries. I love the look of these. It's finally getting hotter in London so this will be a perfect soup to make for lunch one day. This is such a beautiful soup! What a lovely light recipe and with all those fancy flavors. Stunning! 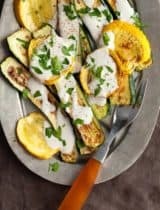 Cucumbers and yogurt is the ULTIMATE in refreshing food combinations, but I would have never thought to turn them into a soup! Loving how fresh and healthy this is - Pinned! This looks amazingly refreshing. 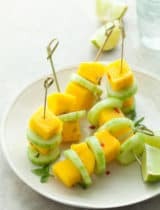 With Florida heat and being pregnant, this seems like the perfect addition to our meal plan! 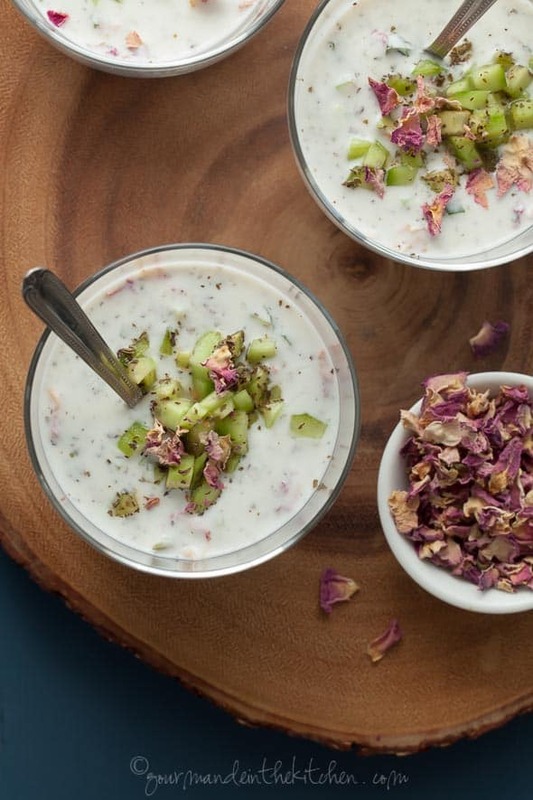 we love cucumber yogurt soup in the summertime! Especially since I'm growing cucumbers this year. I've never made it with rose water, but I'll have to try it. I love your garnish! I've tasted (and loved) the Swedish version of this soup. Yours has many more ingredients, so I'm sure it has a different spin of flavors. Wonderfully refreshing for the hot summer days! Oh my ... I don't think I've seen a more beautiful soup ... ever! Love the addition of golden raisins ... and I think cherries on top would be amazing! Oh, how elegant, and refreshing for these hot summer days. So pretty with the rose petals! This looks lovely. 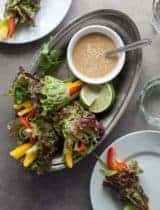 I always struggle with the ratios on summer soups so I'm looking forward to trying your recipe! I'm madly in love with those glasses (bowls?). Where are they from? Oh thank you, I wish I remembered where they were purchased but it's been so long! 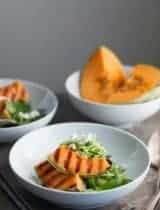 Great twist on a classic to add the rose water. Can't wait to try your version - it sounds like the perfect cool down from our hot weather in Palm Springs! Your photos are beautiful and this looks so refreshing! Perfect for a hot Southern summer day. This looks fantastic and unique. Super refreshing for a hot day! We are in the midst of an epic (for Seattle) heatwave and this sounds so cooling and refreshing! I'm loving this soup. It's cooling refreshing and so original. Great for the summer. Such a refreshing soup for this hot weather! I love your addition of rosewater - what a fun touch. Wow so many exotic ingredients! I wish I could make this, sounds amazing. Love the photography and styling too! I never heard of sprouted watermelon seeds. Love the combinations in your yogurt especially the roses. What a stunning soup! I haven't really experienced many chilled soups, this sounds so refreshing. And what an elegant touch with the rose petals and rosewater! Where do you come up with these gorgeous ideas?? This looks great. Your photos are stunning. I love cold soups in the summer. And this one looks amazing. I'll definitely be trying this soon!